During the last couple of weeks at Bank Close House we have had themed activities running daily. Our theme has been Cruise week, visiting various locations around the world each week, our last stop on the cruise was the Caribbean. This week we held an Elton John tribute concert night where residents enjoyed live music from a local tribute artist. 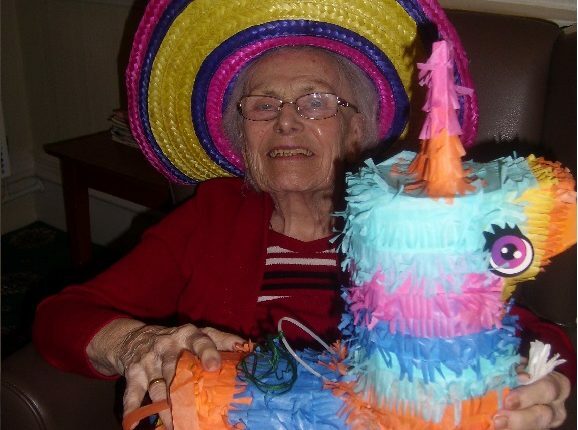 We also held a Mexican night where the residents had a Mexican taster session, Mexican themed activities and a piñata and sombreros. To finish the week we had an outdoor summer fun day where we had the outside area set as a beach with sand, shells and seagulls, we held a knobbly knee contest and had ice creams in the sun. All the residents who took part in these activities have thoroughly enjoyed themselves and we are looking into other themed activities that we can introduce into our activity plans in the future.